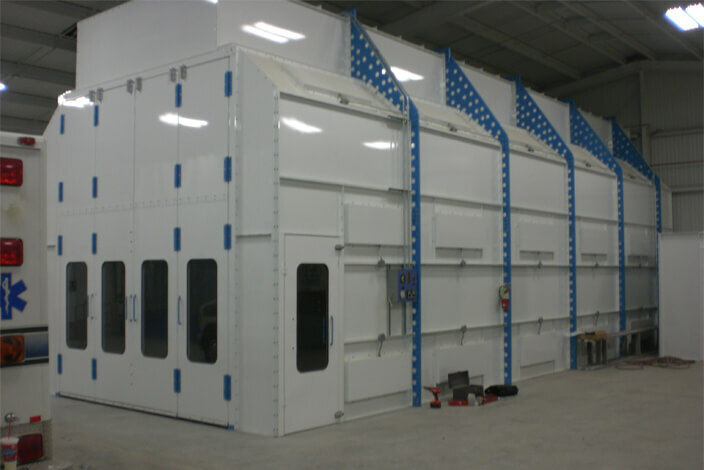 The ANSUL® I-101 Industrial Fire Suppression System is a great product pre-engineered for industrial hazards like paint spray booths, dip tanks, and flammable liquid storage rooms. 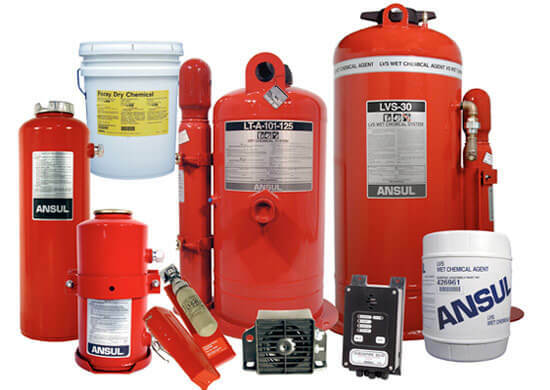 For the fastest knock-down of tough flammable liquid and gas fires we offer dry chemical piped suppression systems which provide detection and suppression for complex hazards that are too difficult and inaccessible for manual means of firefighting. The LVS Liquid Agent Fire Suppression System utilized in a stand-alone system protects off-road equipment such as above ground and sub-surface mining equipment. The agent flows into areas where flammable liquids may settle providing fire suppression and cooling. The fire suppression system can be used as a protection of large, off-road type construction and mining equipment such as large excavators/shovels, draglines, haul trucks, and wheeled loaders. The system also protects underground mining equipment and specialty vehicles such as slag pot and/or slab carriers and tunnel boring machines, as well as waste management equipment and forestry vehicles. 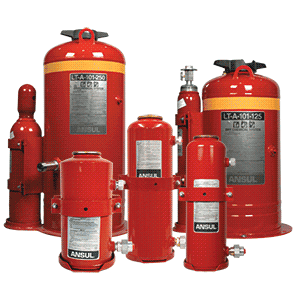 The A-101 Fire Suppression System is an automatic or manual fire suppression system using FORAY dry chemical agent for Class A, B, and C fires. The system is designed for use on large, off-road type construction and mining equipment, underground mining equipment and specialty vehicles.